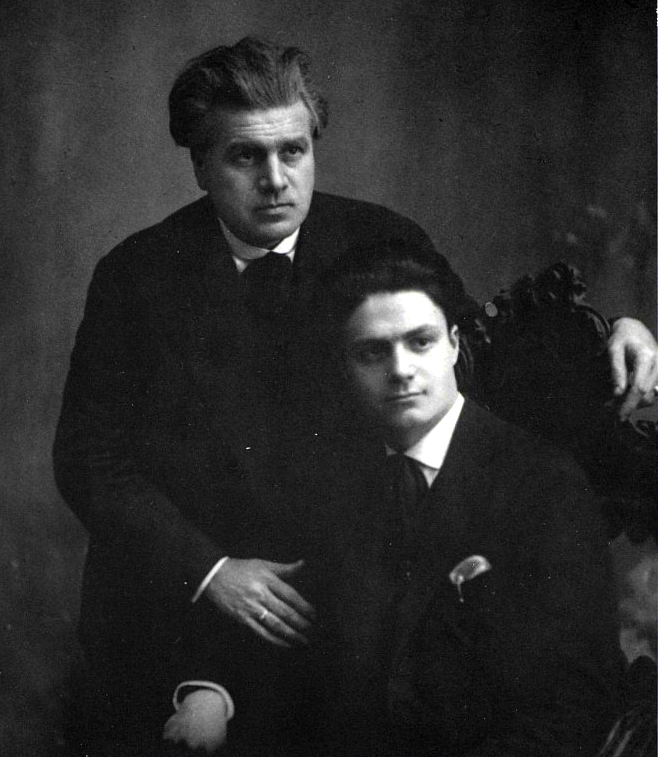 In 1901 he married Ines Larghini, a singer, and the couple soon moved to Milan, where Gaetano was to perfect his skills in violin making, working under Riccardo Antoniazzi in Leandro Bisiach’s workshop. He remained with Bisiach until 1905, while also building his own clientele independently. 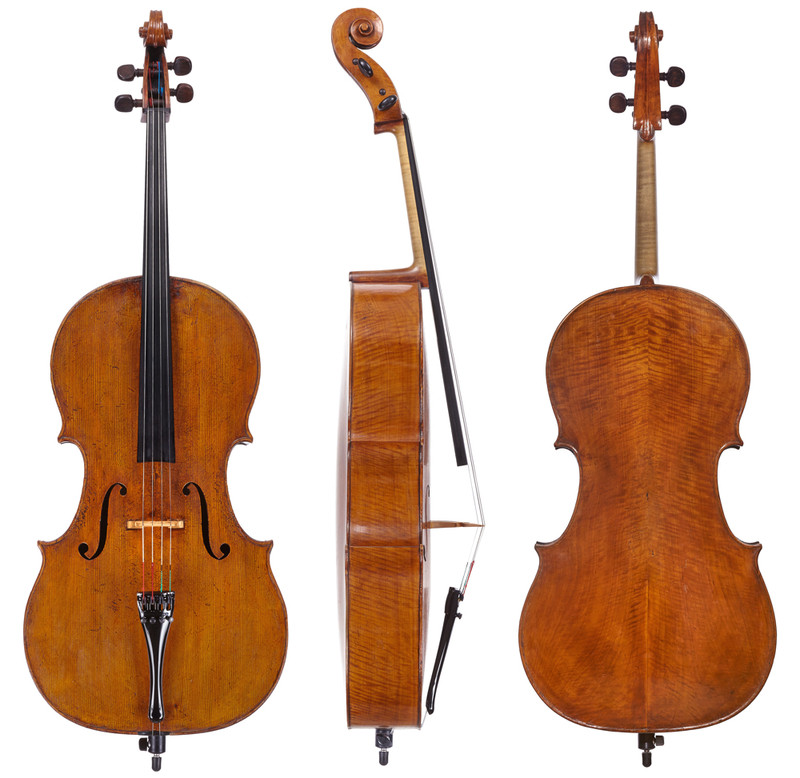 Gaetano’s eldest child, Pietro, the future violin maker and assistant to his father, was born in Milan in 1903. The earliest personally labeled instrument by Gaetano known to me is dated 1902. Essentially a Grancino copy, it shows his renegade character as this was not a model used by either of his teachers. However, in his earliest examples he often made an effort to age the varnish on otherwise straight instruments, based on the Antoniazzi and Bisiach principles. Having left Bisiach, Sgarabotto returned to Vicenza around 1905, but continued a relationship with Bisiach for some years, occasionally supplying him with instruments in the white that Bisiach would have finished in his workshop. 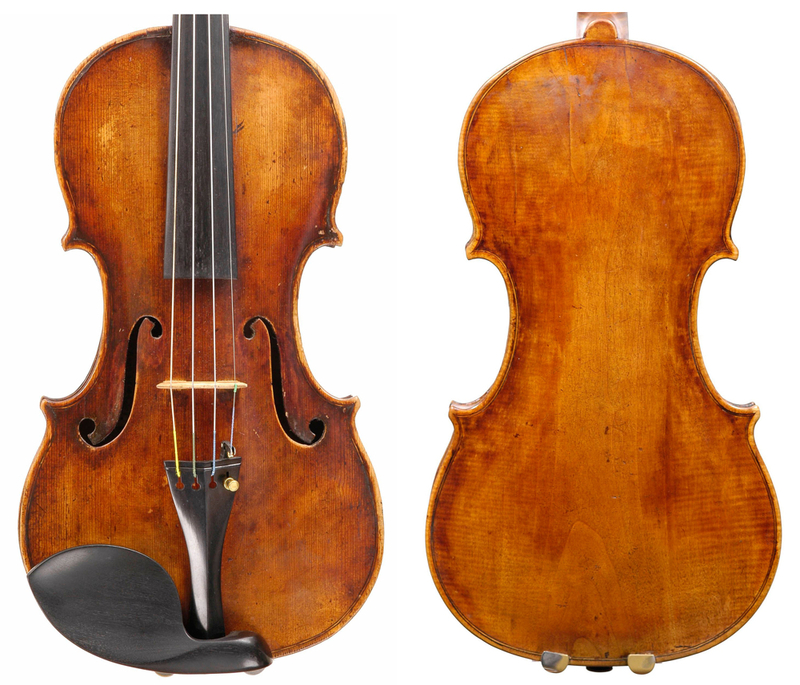 Sgarabotto became one of the most versatile and creative violin makers of the modern Italian school, with a true knack for copying. 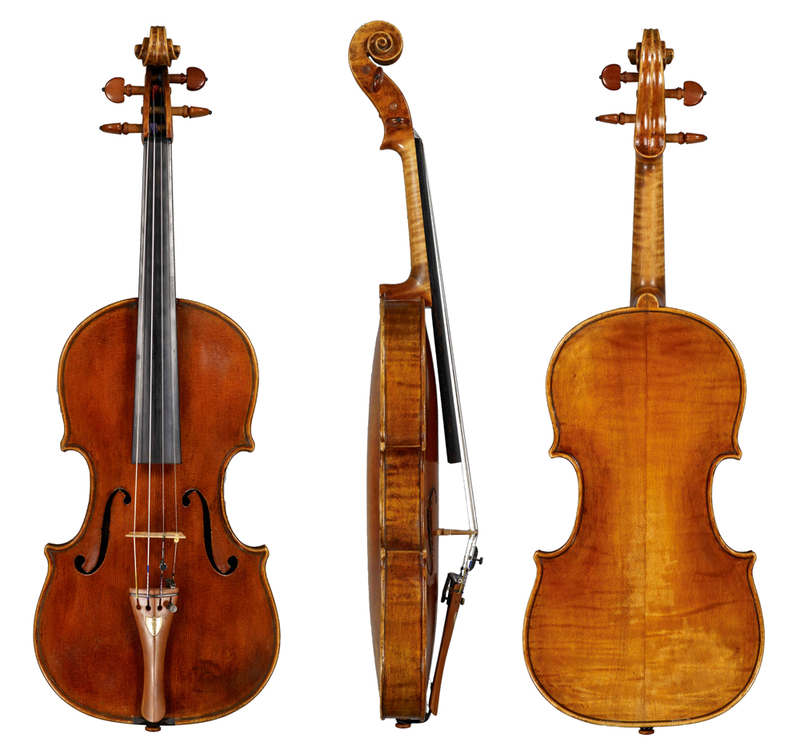 From a Stradivarian model for his straight instruments, Gaetano directed his skills towards making antiqued copies of the 18th-century Italian makers. But rather than emulating the usual Cremonese masters, he turned to such makers as the Guadagninis, the Testores, Balestrieri, Grancino and even on occasion Andrea Guarneri, Gragnani and Gagliano, for inspiration. In this respect he may be likened to his older colleague in Milan, Celeste Farotti. 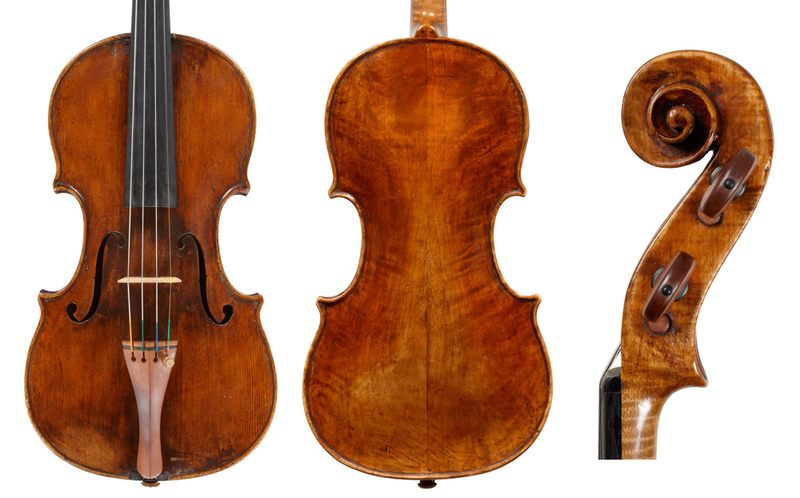 Sgarabotto must have raised a few eyebrows in the violin making establishment when he declared ‘in an absolute manner’ that the great 1716 ‘Habsburg-Lothringen’ Stradivari, was a copy by J.B. Vuillame, first upon viewing it in 1927 and also during the 1937 Cremona Bicentenary Exhibition, on which occasion he also went on to ‘misattribute’ several other well-known instruments in the exhibition to the further dismay of the expert committee led by Fernando Sacconi. 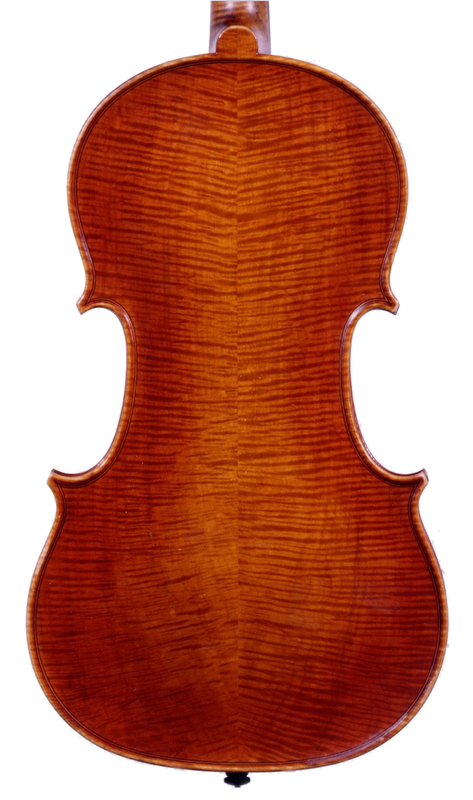 At that stage Sgarabotto may have become somewhat ostracized by the mainstream Italian violin making community and subsequently, like his predecessor Bisiach, acquired a dubious reputation among his colleagues. For example, in a letter dated June 16, 1947 Gaetano Pollastri refers to ‘professor’ Gaetano Sgarabotto as a ‘well-known filibustiere’ or roguish shyster – though this was perhaps based on his certification of a suspect Stradivari and other ‘false’ expert opinions, rather than on his violin making. Twelve years later, in a letter of July 3, 1959, Pollastri refers to Sgarabotto as someone who ‘in his time, has cheated half of Italy’ and who ‘knows absolutely nothing about (old) violins’. In the same letter he refers to Pietro Sgarabotto as a ‘loudmouth full of self-importance’, while in an earlier letter dated June 5, 1954 he called Pietro ‘very talkative but of very modest competency in violin making’. Many of Sgarabotto’s copies are, however, among the most creative and compelling of the 20th century. Though not of uniformly high quality, they manage to capture the flavor of the work of their prototype maker or style. In Sgarabotto’s imagination the copies of specific makers, in particular his apparent favorite, Balestrieri, were perhaps a synopsis of the maker’s opus rather than a replica of any particular instrument by him. Sgarabotto’s handiwork within these copies can be detected in common characteristics that are generally also present in his straight works: the edges of the plates, when viewed from the side, are usually rectangular and uneven; the well-formed but roughly finished – sometimes almost unfinished – scrolls have a dull and pronounced chamfer, as well as a very regular-shaped ‘Amatese’ rear; the sound-holes usually have strong, Turin-Guadagnini-like wings with a deeply hollowed fluting; and a beautiful orange-yellow or reddish-brown varnish is amply applied to the wood. The choice of materials in the copies is decidedly local, often with added straps of wood, knots, or filled woodworm holes and spruce with grain of inconsistent width – all cleverly adopted to imitate the decadent styles of mysterious, old Italian makers. These instruments normally bear labels other than Sgarabotto’s – often Balestrieri or Gaetano Guadagnini – and may be original to the instruments. Some of these copies have, however, been signed ‘Gaetano Sgarabotto’ inside the upper tops. Curiously, Sgarabotto must have admired the eccentric instruments of Stefano Scarampella (1825–1925) and probably some time after the older maker’s death Sgarabotto employed an approach similar to his 18th-century copies in emulating Scarampella’s style. These rather roughly and quickly made instruments resemble those of Scarampella without possessing many of Scarampella’s more determining characteristics. Sgarabotto was in fact capable of technically refined work and, judging by these examples, he had a daunting, though perhaps rewarding, time making intentionally rough instruments. As a result, they have an unfinished look, capturing none of Scarampella’s passion, his concept of the arching, or his idiosyncratic charm. 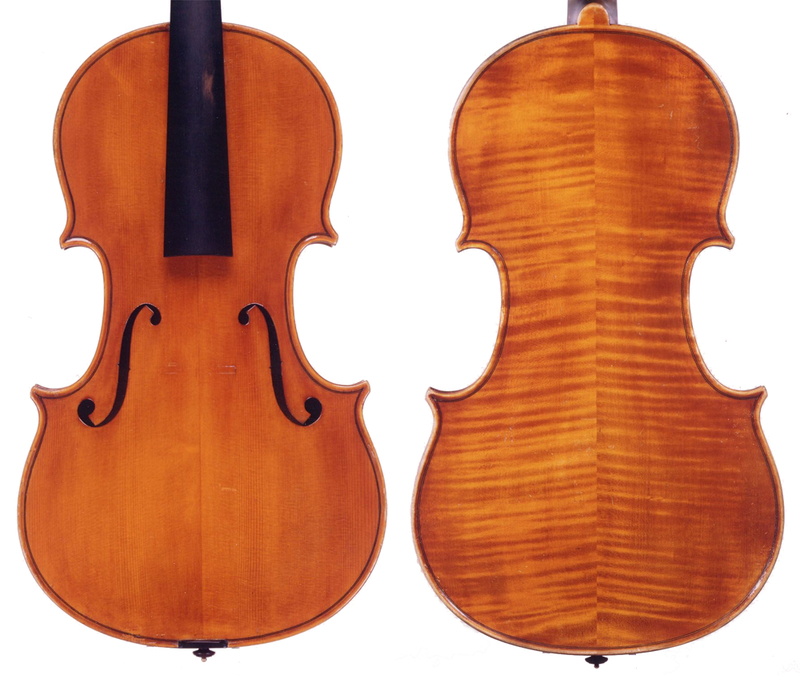 The purfling is often rather wide and uneven (whereas Scarampella’s is usually quite thin) and the inside strip is light colored, as was common in classical Milanese work. It sits inelegantly within rather flat, square edges which show occasional chisel marks (whereas in Sgarabotto’s straight work the narrow purfling is carefully inlaid inside a rather stylishly channelled edge). The varnish has many artificial imitation marks and can be amber or even orange-yellow, but is overall within a brown-yellow range, a color Scarampella himself rarely if ever employed. Most of these examples today bear rather convincing Scarampella labels, though it is difficult to imagine that Sgarabotto would have marketed these himself; perhaps they were made for contemporary dealers such as Leandro Bisiach, who may also have handled his other copies. It is equally plausible that Sgarabotto never intended to copy Scarampella and it was simply these instruments’ stylistic resemblance to the older maker that earned them such later attributions. Gaetano continued to make both straight instruments and copies when he moved to Parma in about 1926. By 1928 he and his son Pietro had founded the Parma School of Violin Making, attached to the local conservatory. The school initially attracted great interest, boasting about 15 students, but closed its doors in 1936 due to lack of further interest from pupils, who instead were probably more keen to study at the violin making school in Cremona that opened the following year. It reopened in the mid-1970s with the help of Renato Scrollavezza, whom Sgarabotto considered as one of his pupils. No reliable information exists detailing the reasons for Gaetano’s many moves to and from Vicenza and Parma, as well as to Brescia, but it does point to a restless character – unusual for violin makers of his generation, who rarely moved more than once from their home towns. The most creative and interesting works by Sgarabotto can be attributed to the years before 1930 – before and shortly after his first move to Parma. Thereafter, some of the instruments become more academic, corresponding with the time when Pietro began to be heavily involved in the workshop and probably completed many instruments for his father. However, some excellent straight instruments and copies were also made during the 1930s and 40s. In his straight instruments Sgarabotto developed a distinctive model of the scroll and pegbox. The scrolls bearing a thick, blackened edge are Stradivarian, apart from the quirky pegboxes and the volutes, which are significantly narrower than their prototypes. These instruments are strongly and meticulously built with nearly faultless technique and well-chosen materials. Sgarabotto passed his model on to his pupils, including his son Pietro and Raffaele Vaccari (1908–1994), who both seem to have constructed straight instruments throughout their careers, as well as to Sesto Rocchi (1909–1991), who initially explored copying in his own interesting early work, but later turned to making straight, somewhat sterile instruments. Gaetano continued working into his 70s, still making some instruments in Brescia during the 1950s. It is claimed that he constructed over 700 instruments, but this probably includes many by Pietro and instruments made under his direction or after his death. Among his best instruments are some fine cellos – many antiqued – and violas of popular size, usually built on a personal model. He died in Parma on December 15, 1959, aged 81. Pietro Sgarabotto was destined to follow in his father’s footsteps, having begun his career as a violinist and violist, but becoming one of the more significant instrument makers of his generation. He began assisting his father around 1926 and by 1929 was a fully fledged professional violin maker working in a style barely distinguishable from that of his father’s straight instruments. As a result many of his instruments have acquired Gaetano labels. The slight difference in the work of the Sgarabottos during this period is detectable only in Pietro’s less precise handling of the purfling and a somewhat more ‘commercial’ look overall. Pietro’s early varnish is generally of an attractive light yellow–orange color and a little drier and thinner than his later varnishes. The Sgarabottos continued to work together and on occasion separately, more or less until Gaetano ceased to work in the mid 1950s. 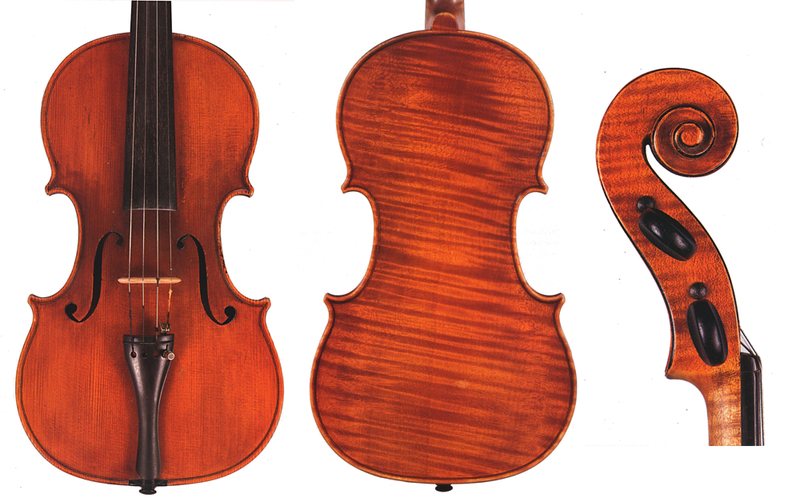 From 1928–1937 they co-directed and taught at the Parma Violin Making School, and Pietro’s violin making is in fact considered to be the epitome of the modern Parma school. This school’s emphasis was on exploring the broadest and flattest Stradivari model in its most simplified form, as exemplified by the work of Pietro Sgarabotto, Vaccari and Rocchi. Boasting finesse of execution, perhaps above most other aspects, the instruments by these makers are in fact not enslaved by the Stradivari model. Works associated with the modern Parma school, in particular those dating from post World War II, are, however, critiqued for their heaviness, inelegance, coldness and hard, often uninteresting varnishes, resulting in a certain stiffness of appearance and also affecting their tone. Nevertheless, the school offers a unique sense of style that distinguishes it from other contemporary Italian schools such as that of Cremona and those in France and Germany. The charm of these instruments is in their use of pretty and very ‘Italianate’ materials and flamboyant varnish colors. Pietro married Maria Minetti in 1936 and began working for a local hardware shop, later traveling across Italy for various jobs in musical performance. Clearly violin making was not at that time a viable career for him. The years immediately following the closure of the school must have been difficult for the Sgarabottos. It seems that between 1937 and 1947 neither of them produced much to speak of, probably partly due to the onset of World War II and its immediate aftermath. Pietro resumed his production in 1947, following employment with various municipalities. In 1959, the year of Gaetano’s death, Pietro was finally invited to teach at the Cremona Violin Making School, which limited the time he had to dedicate to his own making. He stayed in Cremona until 1973, when he returned to Parma and continued working, with deteriorating results, until the late 1970s. He died in Parma in 1990. Pietro was a prolific maker who won various prizes across Italy for his work; in addition to his many violins he also constructed numerous good violas and several cellos. Many of his instruments bear nicknames, handwritten at the bottom of the otherwise printed labels. Unlike his father, Pietro seems to have dedicated himself to straight making, which became in greater demand from around the middle of the 20th century. Some of the previously unpublished historical data has been kindly provided by Andrea Zanrè and Elisa Scrollavezza, who are working on a book on the Sgarabottos. Details of his various moves between Vicenza, Parma and Brescia, where he lived from 1949–1956, are given in Gaetano and Pietro Sgarabotto 1878–1990, Editrice Turris, Cremona 1991. According to recent research by Andrea Zanrè and Elisa Scrollavezza.